Rickie Fowler was involved in the Ferrari-themed color scheme. When you hear a new Cobra driver is coming out you probably think “bomber,” but in the case of the new KING F9 Speedback ($449) you should also be thinking “speed.” Yes, more speed tends to produce more distance and in this case a new Speedback Aero design with a raised skirt, rounded crown and rounded leading edge reduces drag by 17% over the previous F7 and 12% over the F8, making the F9 the fastest Cobra driver to date. To go along with the Speedback design is a carbon fiber crown that wraps around the edges of the clubhead to decrease weigh and allow for a lower and deeper center of gravity. That means improved launch and forgiveness. The KING F9 Speedback isn’t just fast and long but is also packed with a variety of other technologies including an extremely thin and hot CNC milled face and a dual roll design. The upper area features more curvature and the lower area less, enhancing performance on shots struck in those areas. 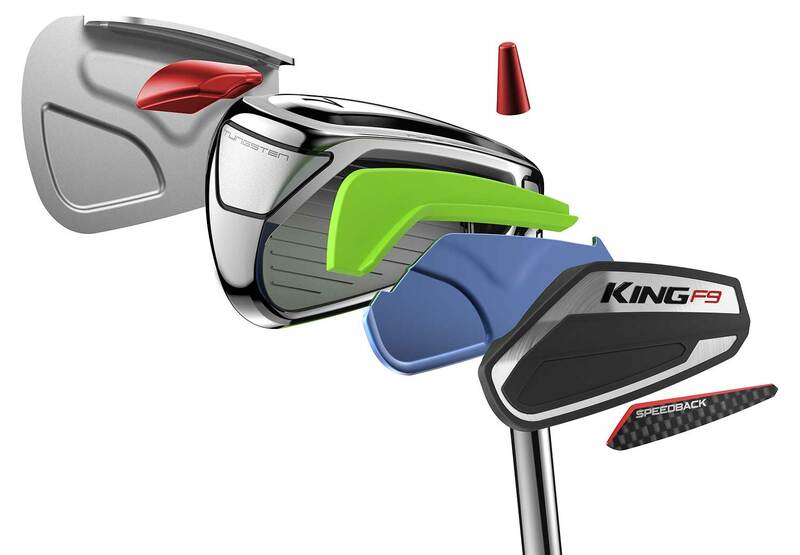 Moveable sole weights also allow for a customizable CG location to alter launch and spin rates. Rickie Fowler was involved in choosing the two Ferrari-inspired color options as well as the design of the cool alignment aid on the crown. 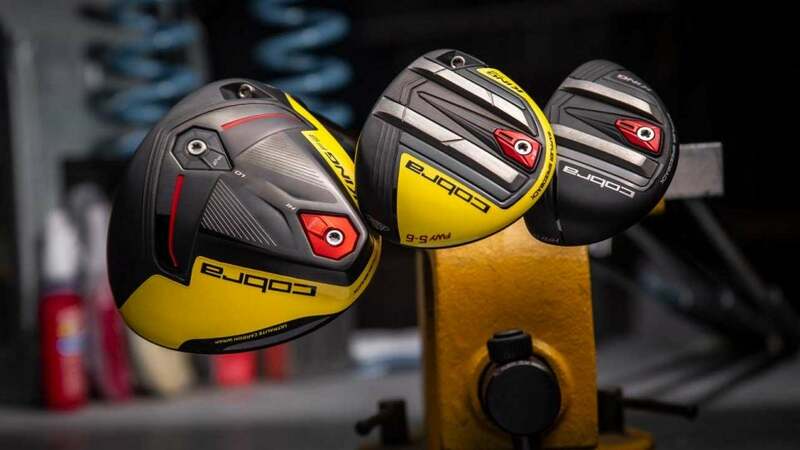 And as is the case with all new Cobra clubs, the driver also comes standard with the Cobra Connect system Powered by Arccos, allowing you to track your stats and a whole lot more through the Arccos 360 app and your smartphone. The KING F9 Speedback is available in 9-, 10.5-, and 12-degree lofts with adjustable hosels. Stock shafts include Helium 50, Fujikura Atmos Tour Spec Blue 6, Project X HZRDUS Smoke, and Fujikura Atmost Tour Spec Black 7. 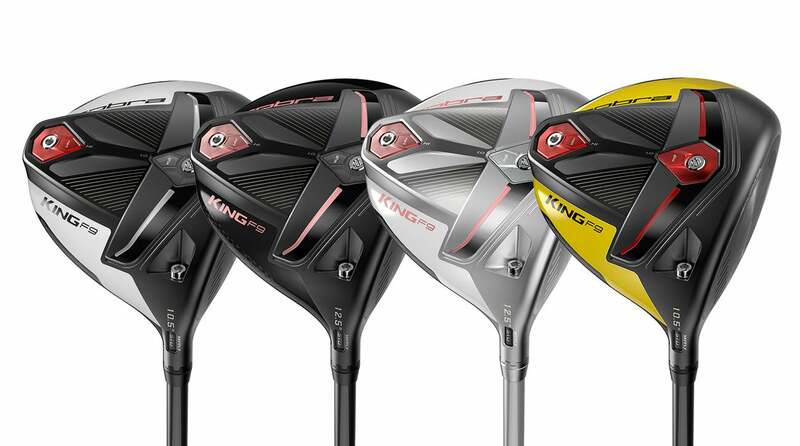 Also new are KING F9 Speedback fairways ($269 each) and hybrids ($219 each), both of which utilize many of the same design elements of the new drivers to produce enhanced distance and forgiveness. The fairway woods feature redesigned Baffler rails in the sole that not only enhance turf interaction in a variety of playing conditions but also combine with a low, back tungsten weight to create a low and deep CG location for improved launch and forgiveness. The rails also feature progressive heights that are higher in more lofted models and lower in less lofted models to accommodate varying attack angles. KING F9 Speedback fairway woods are available in 3-4 (13°-16°), 5-6 (17°-20°), and 7-8 (21°-24°) models with choice of Helium 60 or Fujikura Atmos Blue 7 stock shafts. Hybrids come in 17°, 19°, 21°, and 24° (variable length only), with Fujikura’s ATMOS 70g shaft. Along with the new KING F9 Speedback woods are new irons, which come in variable and ONE length options (both $799 steel, $899 graphite), as well as a women’s combo set ($899 graphite). Aimed at players looking for a combination of distance and forgiveness, the new sticks feature a low and deep CG location due to added mass in the low back of the clubhead, and high MOI forgiveness with 33g of Tungsten in the heel and toe of the 4-7 irons. Other features include CNC milled clubface and grooves for enhanced consistency, a multi-material cavity medallion (aluminum, thermoplastic polyurethane, acrylic foam) for improved vibration dampening, and variable thickness face with internal speed channel for increased ballspeed and launch. Progressive hosel lengths (shorter in the long irons, longer in the short irons) provide optimal trajectory throughout the set while varying groove design (V-grooves in 4-7, U-grooves in 8-PW, tighter spacing in GW-SW) helps optimize spin for added control. The ONE length version of the KING F9 Speedback irons is designed around a 7-iron length and feature wider soles in the 4-6 irons for higher trajectory shots, progressive shaft weighting (80g in 4-6, 90g in 7-9, Tour weight in PW-SW) for enhanced control, and new lie angles that are more upright in the long irons and flatter in the wedges. Like all the clubs in the new Speedback family the irons are also fitted with the Cobra Connect system Powered by Arccos in the grip. 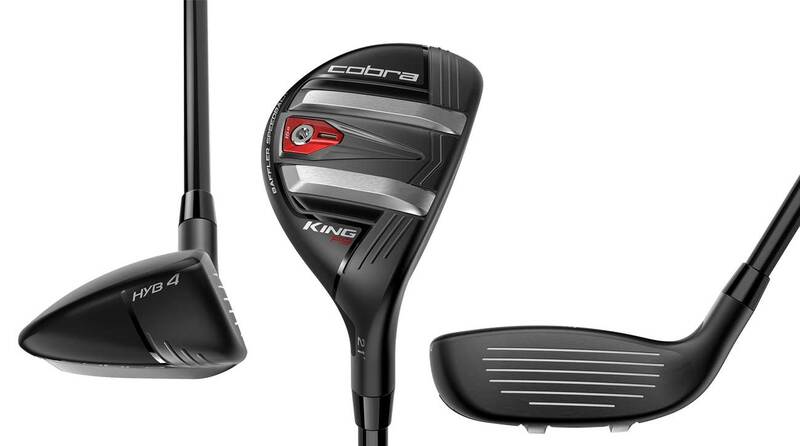 All new Cobra KING F9 Speedback clubs will be available at retail on January 18, 2019.